These lightweight sporty analogs feature aluminum cases, mineral glass are 50M water resistant, making them a perfect choice for any sports wear. 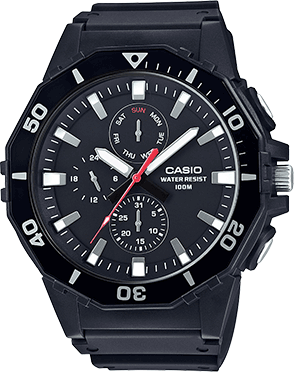 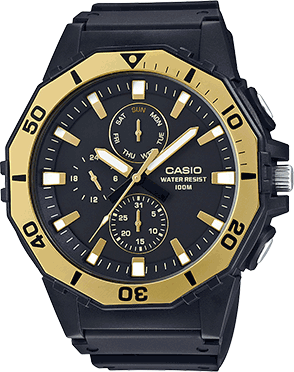 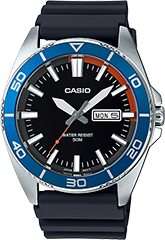 Features resin bands and a chronograph function for timing. 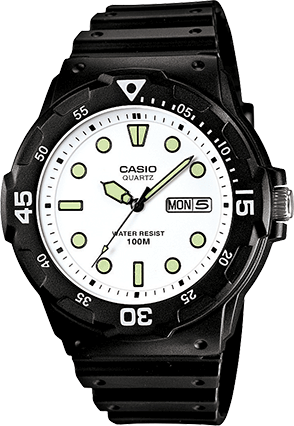 The MTR501 series take it one step further with a marked Tachymeter bezel for gauging speed of a vehicle over a 1km distance. 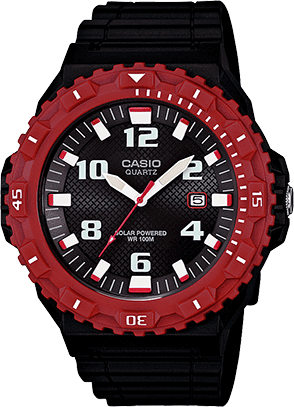 Featuring a Black Resin Band and Black Face.